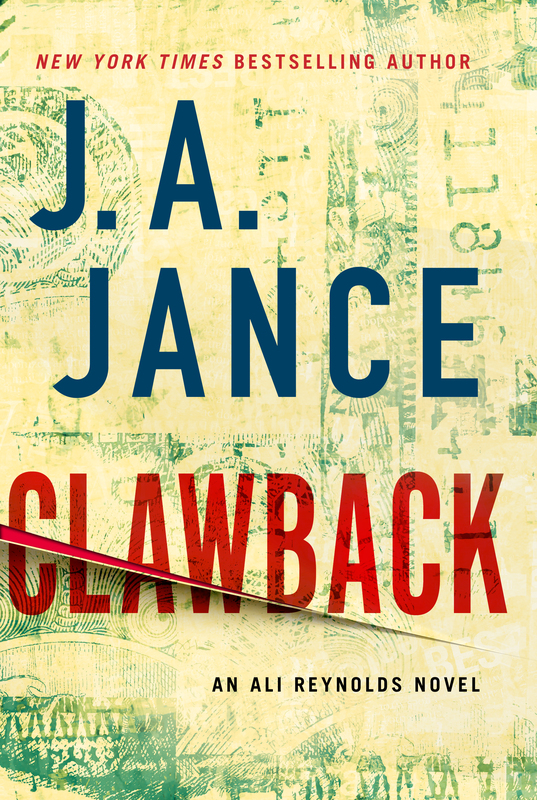 Clawback : an Ali Reynolds novel / J.A. Jance. "When Ali's parents lose their life savings to a Ponzi scheme, her father goes to confront his long-time friend and financial advisor, only to stumble into the scene of a bloody double homicide. With her father suddenly a prime suspect, Ali and her husband work to clear her father's name, while at the same time seeking justice for her parents as well as the scheme's other suddenly impoverished victims, one of whom is a stone cold killer"-- Provided by publisher.